Learn how gaming, the Internet and social media affect culture and society. 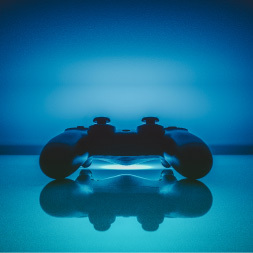 Media Studies – Gaming, the Internet and Social Media introduces you to the effects electronic games, the internet, and social media all have on culture and society. The course also looks at the historical evolution of each of these areas, and the issues and trends which affect them. This course begins by developing an understanding of electronic games and entertainment. In particular, you will look at the historical development of video games, and examine the impact which this medium has had upon culture. You will also look at the controversial issues which surround video games. Finally, you will look at the blurring of the boundaries between games and other types of media. Next, you will be introduced to the internet and social media, and their development throughout history. In order to achieve this, you will look at the evolution of the internet. You will gain insight into social media and Web 2.0, and the impact of globalization on culture and communication. Finally, you will examine the issues and trends which affect this medium. This course will be of great interest to professionals working in the areas of media or culture and would like to learn more about the field. It will also be of interest to learners would like to learn more about gaming and online media. Having completed this course you will be able to: - Explain the important innovations that drove the acceptance of video games; - Determine developments that influenced the evolution of video games; - Identify the effect electronic games have on culture; - Describe gaming culture and how it has influenced mainstream culture; - Analyze the ways video games have affected other forms of media. - Describe how video games can be used for educational purposes; - Identify the arguments for and against the depiction of video games as an art; - Describe controversial issues related to modern video games; - Discuss the effects of video game addiction; - Explain how virtual worlds can be used to facilitate learning; - Identify technologies that made the Internet accessible; - Explain the causes and effects of the dot-com boom and crash; - Show the positive and negative effects of blogs on the distribution of information; - Explain the ways privacy has been addressed on the Internet; - Describe the effects of globalization on culture; - Identify the possible effects of news migrating to the Internet; - Define the Internet paradox; - Define information superhighway as it relates to the Internet; - Identify ways to identify credible sources online; - Define net neutrality.